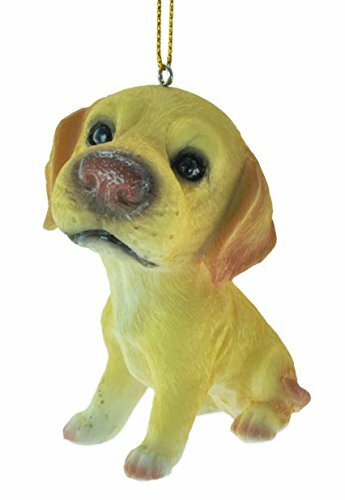 Every year I give my father in law one of several Yellow lab Christmas ornaments. This has become somewhat of a tradition to the point where I am sure if he doesn’t get one he might think I am mad at him or something. He currently has two labs and they are the world to him. The fact that so many of the ornaments look just like them makes them an easy gift that I know he will love. Personally I prefer French bulldogs even though my last one died a few years ago. Though the next dog I get for my girls will definitely be a Frenchie (sorry to all you lab lovers out there). This means that I don’t actually own any of these myself but I wouldn’t be against hanging them on my tree if some were to appear in my possession. Though I did find some great ones while shopping for my dad in law this year!. If I was to ever buy these, I would use them to accentuate and compliment the French bulldog decorations that I have. This would add a certain style and flair to the whole appearance of my home. 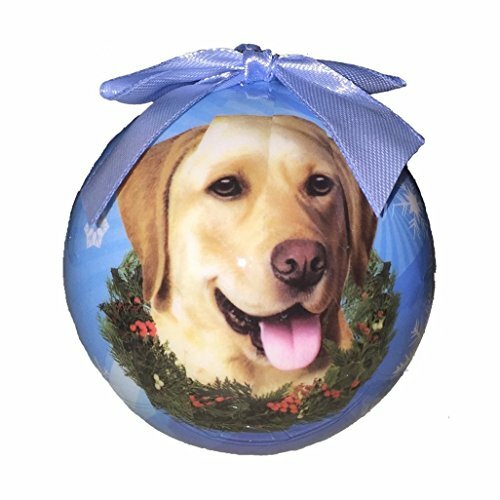 These Yellow Lab decorations have such an eye for detail and really do capture the essence of the breed with that loyalty and love. OR maybe I have been staring at ornaments just a tad too long. Not to mention these help reaffirm my love of animals in the first place. Pretty sure Jean has already written about her love black labs in her ornament post from a previous year. And I think I used a lot of her general criteria when choosing some of the best ornaments. That is one of the reasons I chose the angel ornament and the super realistic image one on the ball ornament. Plus that boy is wearing a wreath! I mean what a nice way to picture what your lab will look like dressed up without actually having to figure out how to get a wreath around his/her neck. My favorite at the moment isn’t actually a tree ornament per say but it would still make a great Christmas decoration. 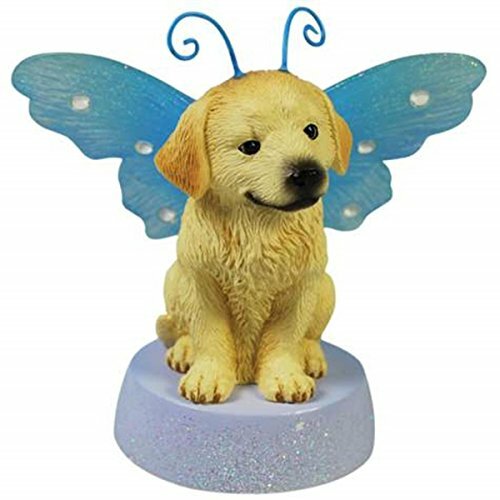 It is a lovely yellow lab figurine that has light up fairy wings. This makes it perfect to put on display anywhere even if you are looking for something to fit on the dashboard of your car. It is a little heavy – compared to your traditional ornaments but with a ribbon it can be hung up on a sturdier branch or simply placed on/in the tree without an actual hook. Just make sure that if you do have a furry friend running around that it doesn’t accidentally knock it off. Which dog is your favorite? 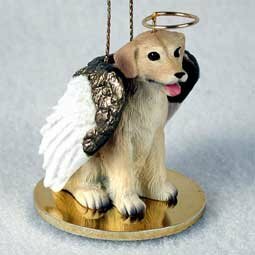 Do you make sure to get Xmas ornaments every year that match the furry members of your family?